Not having estate planning documents in place. 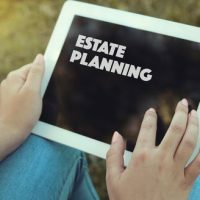 According to the American Association of Retired People (AARP), six out of every ten adults do not have a valid will or other types of estate planning documents in place. Whatever your age or income level, it is important to have a will, power of attorney, and other types of advance directives. Your will can prevent costly probate proceedings while ensuring any property or assets you do have are distributed according to your wishes. Advance directives provide clear guidance and authority to family members or friends in the event an accident or illness leave you incapacitated and unable to make decisions for yourself. Not updating your will and other estate planning documents regularly. If you get married, have children, or there is a death in the family, you will need to update your estate planning documents accordingly. Likewise, if you have a significant change in assets, such as getting a new job or receiving an inheritance, you will want to reflect these changes in your will as well. Overlooking important details such as updating beneficiaries could end up causing legal problems further down the line. Not planning for potential long term care expenses. Relying on your family or friends to take care of you as you get older may seem reasonable, but there are numerous problems that can arise if this is your only plan. While they may be willing to help in ways, such as taking you to your doctor appointments or providing help around your home, you could end up requiring more intensive treatment. Paying for at home services and nursing home care can quickly drain any savings you have been able to accumulate, money you likely intended to use for retirement or to pass on to your children. Medicaid planning now can help avoid this problem. Not talking to your family about an estate plan. U.S.News & World Report acknowledges that while talking about death and the potential for disabilities with your loved ones may seem awkward, it is likely to be one of the most important conversations you ever have. Let them know the plans you have in place, and where to find important documents in the event they are needed. For experienced legal representation in creating an estate plan that suits your individual needs, reach out and contact Cavallo & Cavallo. Request a consultation with our New York estate planning attorneys in our Bronx or New Rochelle office to discuss your situation and how we can assist you today.